CLEMSON, S.C. — Clemson coach Dabo Swinney did a double take the first day of the offseason, early morning workouts last month when he saw starting defensive linemen Christian Wilkins, Clelin Ferrell and Austin Bryant grinding away with teammates. Many, including Swinney, expected the trio of all-Atlantic Coast Conference linemen to be training for the NFL combine after giving up college for the pros. Instead, the three all came back to the Tigers and led the way Wednesday as Clemson opened spring workouts. “They’re back with a purpose,” Swinney said. And perhaps a chip on their shoulders. All three were projected by many NFL mock draft boards to be first-round material, Wilkins and Ferrell even popping up in several top 10s as can’t miss players at the next level. Instead, none of them got first-round grades, Swinney said, meaning they could see their stellar futures muddled by middle-round selections. The 6-foot-4, 300-pound Wilkins and 6-5, 260-pound Ferrell were first-team all-ACC picks this season. Bryant, at 6-5, 265, was named to the second team. 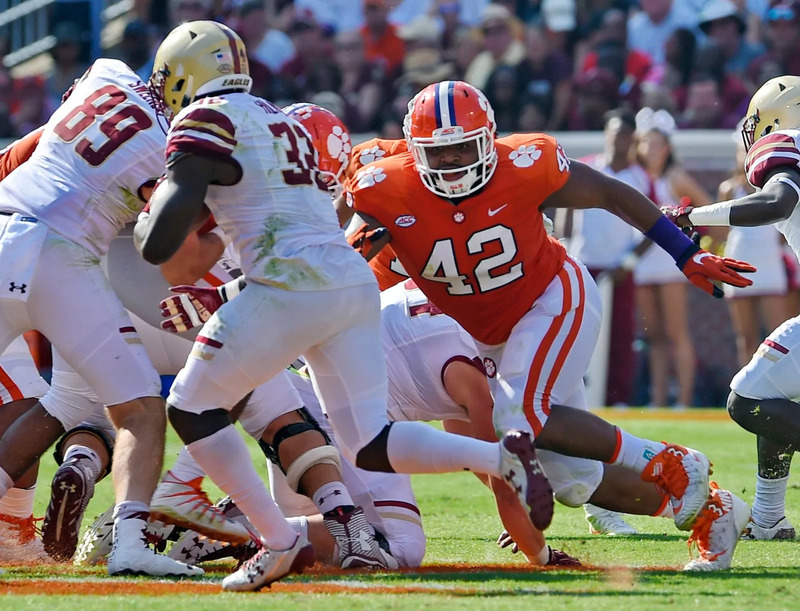 Add in Clemson’s other starter in massive and nimble (340 pounds) tackle Dexter Lawrence and the Tigers have a chance to see all of them go in the early rounds of the 2019 NFL draft . Indeed, one internet projector has the quartet all going among the first 24 picks two drafts from now.